In a rare show of cordial relationship, a Patriotic Front candidate and MMD in Chitambo parliamentary seat have pledged to continue fostering development if elected in the August 11 general elections. The PF is fielding Evans Chola as Chitambo council chairperson while MMD Mushili Malama is contesting the Chitambo constituency parliamentary seat. Speaking at a rally in Chitambo Constituency in Serenje the two candidates pledged to work together. Mr Chola said he was optimistic that working with Mr Malama would bring development in the constituency and Lusenga ward because of the alliance that the two parties had entered. Mr Chola further said he knew Mr Malama as a hardworking MP because most of the projects he promised to deliver to the people had already been delivered during his five-year tenure as MP. He asked the electorate to vote for him so that he would improve the people’s living conditions. And Mr Malama said once re-elected he would ensure that projects that he had embarked on were completed to enable the electorate in his constituency benefit from the various projects being implemented by the Government. He said he was confident that the people of Chitambo would give him another five years to continue fostering development beneficial to the people. Mr Malama said he had been able to work on few projects such as schools and a health center in the area among other things. “These are projects people are able to point at. Where there were no schools we have managed to put up schools either through Government or the Constituency Development Funds (CDF) or in some cases, I have implemented projects using my own resources as a way of giving back to the community,” he said. Mr Malama urged the electorate to vote for him because he had a vision for the constituency which he said needed to register economic empowerment through implementation of projects. He said he would focus on fostering economic empowerment to benefit the people of Chitambo District. 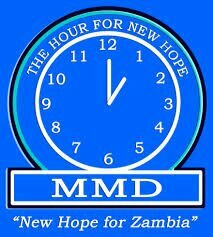 And in supporting the two candidates MMD president Felix Mutati asked the electorates to vote for Mr Chola and Mr Malama for development. Mr Mutati said they should vote for an individual’s ability and not the political party as the country was a one Zambia one nation. “Some of these opposition leaders and their running mates have nothing to offer Zambians and so just forget about them. Let us vote for President Edgar Lungu for peace, unity, harmony and prosperity,” Mr Mutati said.